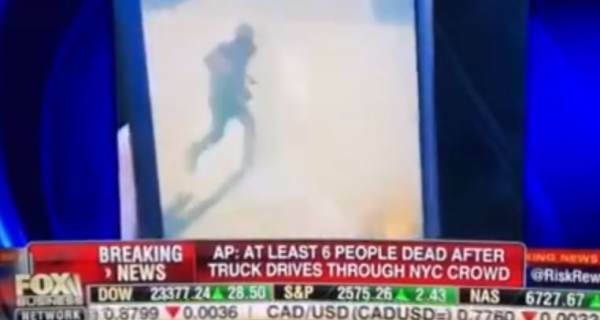 Multiple people were killed in Manhattan Tuesday after a man driving a truck rammed a bus and ran over several pedestrians. One suspect is in NYPD custody. Here is video of the suspect running from police after crashing his truck into a school bus. 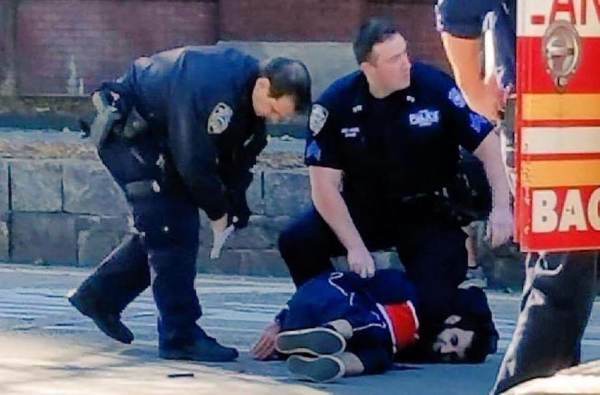 Here is a closeup of the bearded Islamist killer. The killer was shot in the abdomen. Suspect’s name is Sayfullo Saipov from Tampa, Florida. 7- Based on name of #Manhattan suspect, he isn't of Arab descent. Saipov isn't an Arabic name. Saifullo (Saifullah) is a Muslim name though.